Word for Today: The PRESENCE of God is non-non-negotiable. The PRESENCE of God is non-negotiable. The PRESENCE of God in Christ Jesus is awesome. 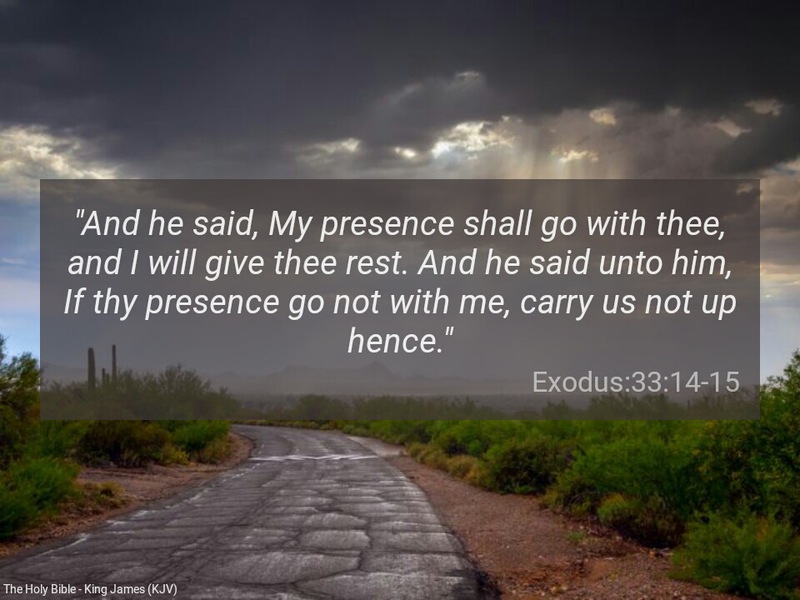 Henceforth, may you go no where without first confirming if the presence of God is with you. In the Presence of God there is light ( Psalm 119:130). In the Presence of God diseases, sickness, fear, doubt, confusion, demons etc must depart; instead you begin to experience fruitfulness , high productivity and peace. As you keep praising God today, be conscious of your spiritual authority and make use of the keys given to you in His Presence. “And I will give unto thee the keys of the kingdom of heaven: and whatsoever thou shalt bind on earth shall be bound in heaven: and whatsoever thou shalt loose on earth shall be loosed in heaven” ( Matthew 16:19). Dear Father, please send me nowhere unless your PRESENCE goes with me in the mighty name of Jesus . Amen. Next Next post: Word for Today: Be strong & very courageous.